Fantasy football is all about relative value. Getting an MVP quarterback is always great, but getting Matt Ryan in the 14th round last year is even better. Too many fantasy players make the mistake of forming a draft list, picking a few sleepers, and then just going hard after their guys. Fantasy drafts are more finesse than science. No player should be totally off your draft board. Never enter a draft with a set target for each round. You have to play the draft as it comes. Use Average Draft Position to get a sense of where guys will go, and watch for value that drops. Two of the top three picks this fall will be LeVeon Bell and Antonio Brown. Martavis Bryant is going in the 4th. The Steelers are loaded, yet Ben Roethlisberger is being taken as QB12 in the 9th round. 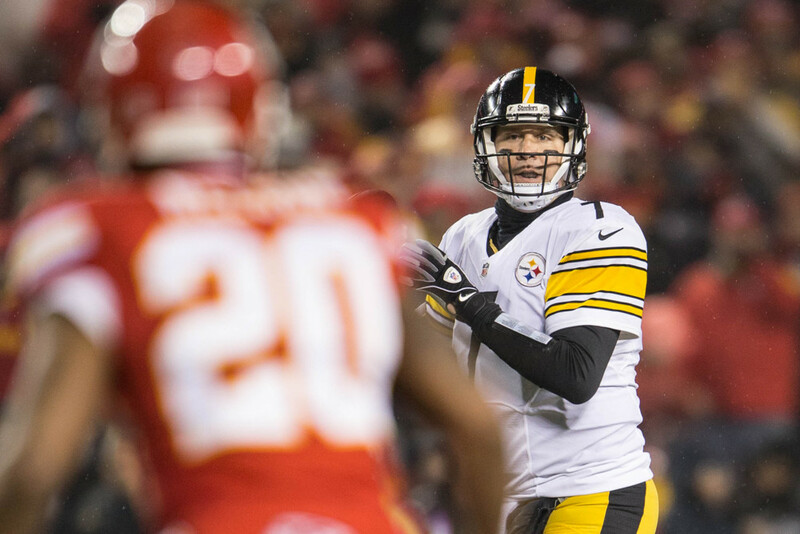 Roethlisberger has thrown three or more TDs an incredible 12 times the last two seasons. But he’s sliding because he almost always misses a few games and has some clunkers, especially on the road. But you can use that to your advantage. Big Ben averaged 14.5 ppg on the road the last two seasons but a whopping 26.4 at home! That home rate would make him the #1 QB most fantasy seasons. Say you draft Big Ben in the 9th round and only get something like seven home games and three good road matchups. That’s a possible #1 QB for ten of your sixteen games. You’re sure you’d rather take Cam Meredith or Jeremy Hill? 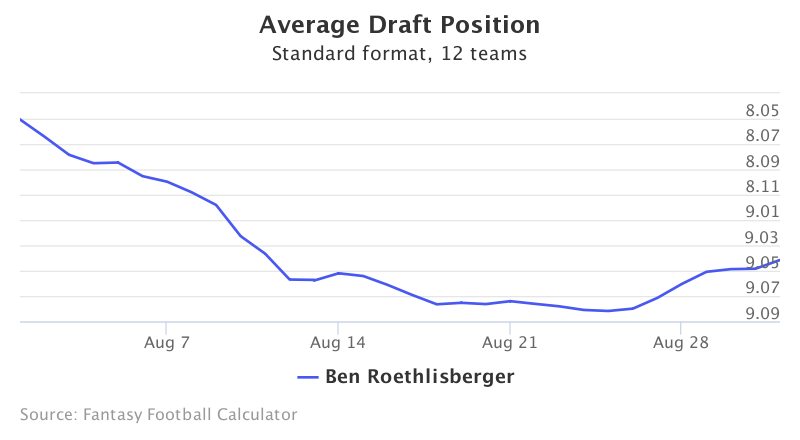 Take Big Ben on draft day. Just make sure you get a solid second option with him. 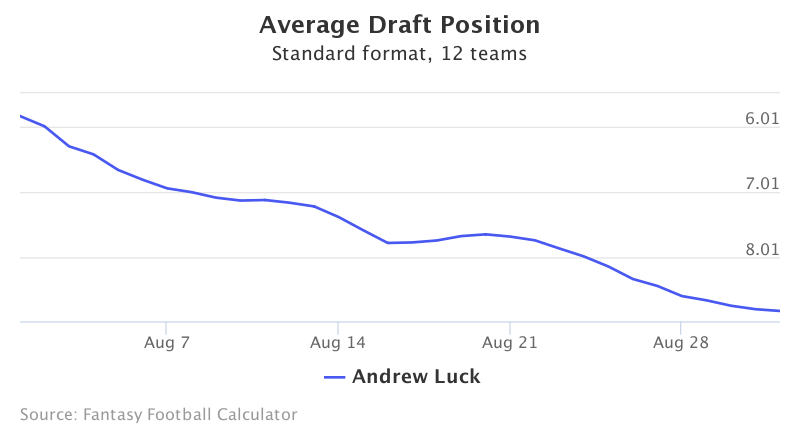 Andrew Luck was a 5th round pick a month ago. Now he’s sliding fast, currently QB10 and available in the 8th round or later. Luck’s slide is tied to the uncertainty with the recovery timetable from shoulder surgery in January. The latest rumors have Luck questionable to play Week 1, though it seems unlikely he’ll be out much longer than that. The injury risk is there, but so is the upside. Luck averaged more than 22 points per game last year. He did that in 2015 too and scored almost 25 ppg in 2014. He’s been a top five QB in ppg three years running and was #1 in 2014. The man produces when he’s on the field, and he should be back on the field soon. And he’s going late enough in drafts that you can easily afford to grab a good backup QB with him to play the early weeks while he gets healthy. Like Luck, Cam Newton is recovering from offseason surgery. And like Luck, Newton produces when on the field. Before last season’s disappointment, Cam had finished among the top seven QBs in points per game every season of his career. 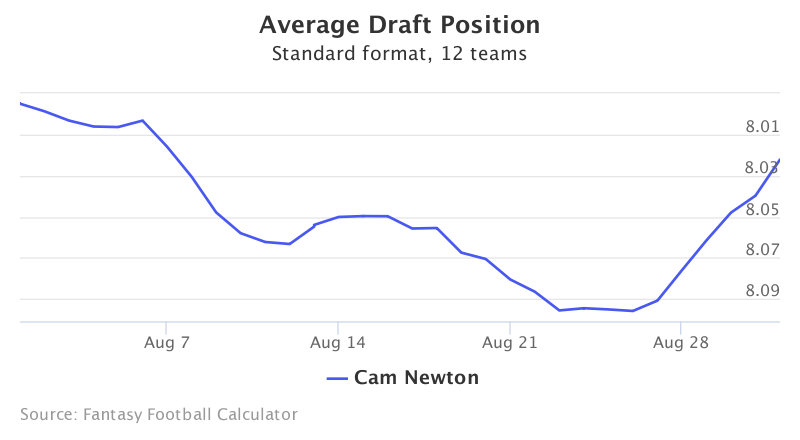 Yet so many owners were burned after an early pick last season that Newton is going QB11 in drafts. Newton certainly disappointed last season but played the entire year injured after picking up a concussion in the season opener. He was always due to regress after an MVP year, but regression works the other way too. Carolina’s offense is loaded with the additions of rookies Christian McCaffrey and Curtis Samuel. The Panthers also have one of the league’s softest schedules. Newton is ready to bounce back in a huge way. If there’s any quarterback set to make the leap into the top tier this season, it may be Marcus Mariota. The Titans spent the offseason adding weapons for their franchise QB, first spending a top five draft pick on Corey Davis and then adding Eric Decker in free agency. The Titans were 28th in the NFL in pass attempts last year. 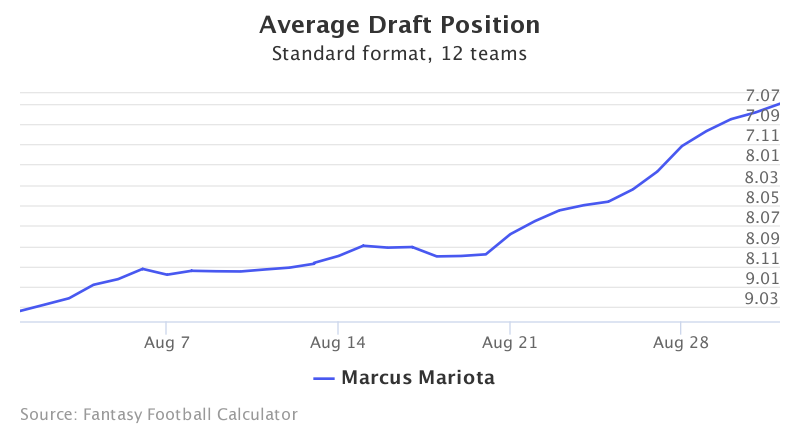 Mariota should have the ball in his hands more this season with more opportunities to rack up fantasy points. He’s also slimmed down this offseason and has looked extra quick, so that could mean a boost to his rushing totals too. Add all that to an improving Titans team and a weak Tennessee schedule and Mariota could well end up a dark horse MVP candidate.